A strike and settlement in the apple orchards of Central Washington represents a rare flexing of bargaining muscle by foreign guest workers who form an increasingly important part of the farm labor force. 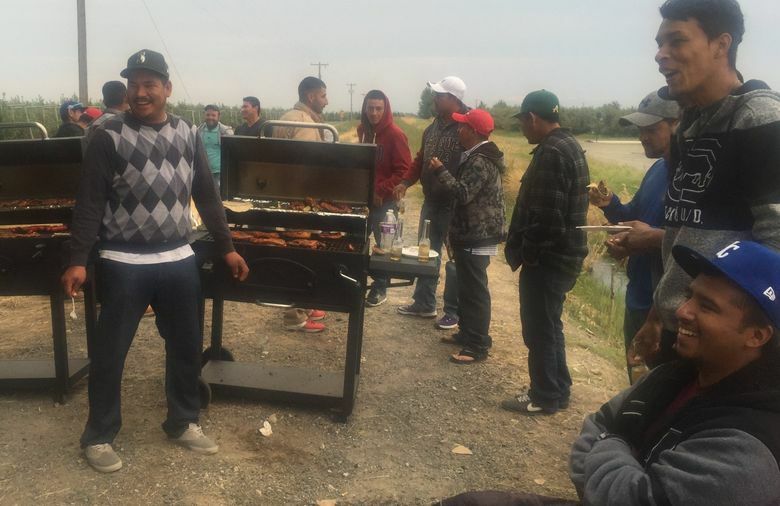 QUINCY, Grant County — On a recent blustery evening, Mexican workers gathered for a meal of grilled meats to celebrate the end of their six-day strike in the apple orchards of Central Washington. The 17 workers reached a settlement that obligates their employer — Larson Fruit — to address complaints ranging from a scarcity of toilet paper to verbal abuse from a supervisor. Ulises Perez, a tall, slender 23-year-old from the Mexican state of Nayarit, said the core problem was a lack of respect. Their strike was a rare flexing of bargaining muscle by an increasingly important part of the apple-industry labor force: Foreign guest workers who come to the U.S. under temporary H-2A visas and generally have been reluctant to protest for fear of being sent back home. 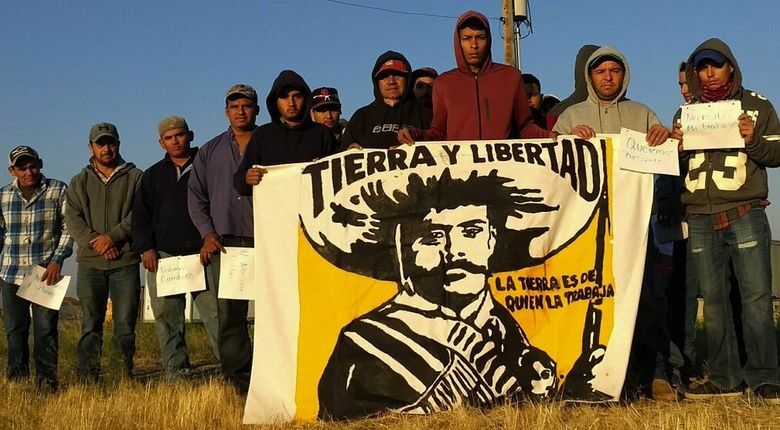 The agreement was reached with the assistance of a Northwest farmworker union, Familias Unidas por la Justicia, and could signal a new phase of organizing efforts that in the past have largely been focused on U.S.-based workers. Union President Ramon Torres helped the Quincy H-2A workers negotiate their agreement, and also backed more than 90 H-2A berry pickers who walked off their jobs at Whatcom County’s Sarbanand Farms in August. In Whatcom County, most of the workers — despite the union assistance — lost their jobs. At Quincy, the strike was resolved through face-to-face to meetings between the workers and Keith Larson, owner of Larson Fruit. The resolution includes a commitment to reassign a supervisor accused of harassment and the reinstatement of three fired workers. This labor unrest has been closely monitored by the leaders of Wafla, an employers association that helps bring in H-2A workers. The settlement also includes a provision — agreed to by Larson — that bars the blacklisting of those who went on strike should they seek future employment under the H-2A program. The Mexican workers also wanted this provision endorsed by Wafla. Otherwise, they feared, they would be shut out of working for other farmers and growers represented by Wafla. Dan Fazio, the association’s executive director, refused that request. At Larson Fruit, the H-2A workers perform vital tasks. Through the spring and early summer, they prune and train to trellises new generations of small, densely planted and highly productive apple trees. In August, they switch to picking as early varieties start to ripen. 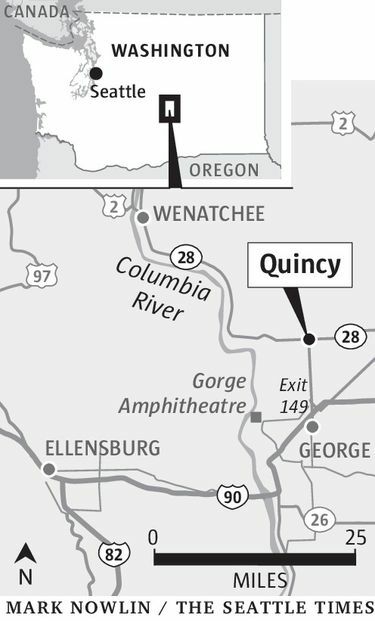 Their off-duty time is largely spent in a bunkhouse camp that is close to orchards yet outside of Quincy, which they visit on periodic trips for groceries. H-2A workers only can be hired if U.S.-based workers don’t respond to job listings advertised by farmers and growers through state employment agencies. 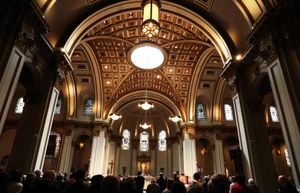 The contracts bind them to a single employer, who must provide free housing for the length of their stay that may range from a few months to nine months. The H-2A workers are entitled to a special minimum wage set this year in Washington state at $13.38 per hour, and they can make considerably more when paid a piece rate during harvest seasons. Washington farmers and growers want the Trump administration to ease H-2A visa regulations so foreign workers can be brought in more quickly and with less cost. But even under the current rules, their use has skyrocketed amid a yearslong decline in Mexican illegal immigration that has tightened Washington’s farm labor markets. 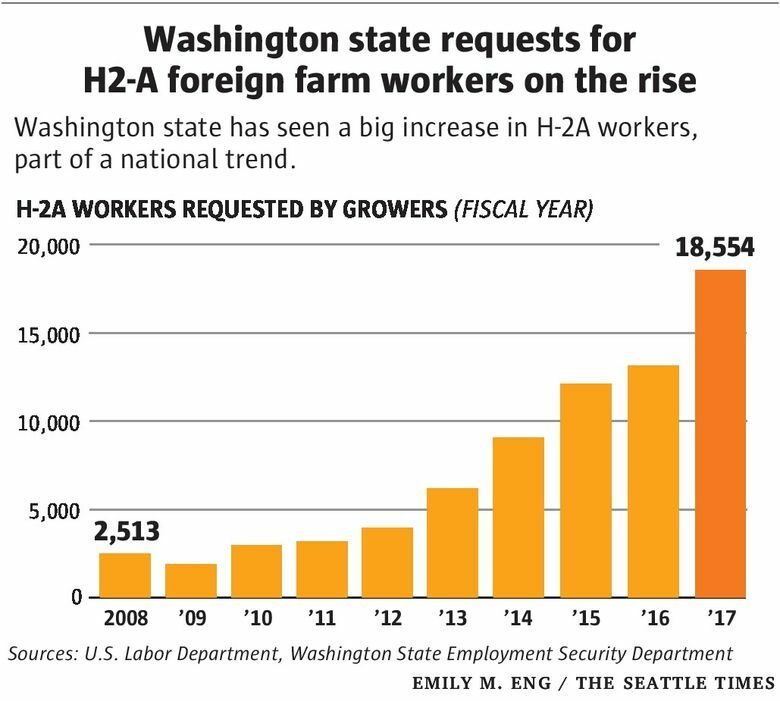 In 2017, Washington farmers and growers requested more than 18,550 positions for H-2A foreign workers. 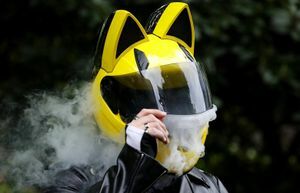 That is more than four times the number requested five years ago, and a more than 40 percent increase from just last year, according to state Employment Security Department statistics. Larson Fruit this year has 150 H2-A workers who do the bulk of the early season work on some 1,500 acres of orchards in Grant and three other counties. They also are an important part of the much larger payroll during the apple harvest. “Up until a few weeks ago, they were almost all our workforce,” Larson said in a September interview. During a work season that began back in March, the Larson H-2A workers said they grew increasingly frustrated with management. By September, they had compiled a list of 34 grievances. Some were relatively small things like a lack of cleaning supplies. Others were bigger deals, such as being asked to work while sick and not being able to see doctors after falls off ladders. Rather than try to address their concerns, they say, a supervisor repeatedly yelled at them and threatened to fire them. So, on Sept. 6, the strike began. The 17 workers refused to go to work, while 10 other H2-A workers opted to stay on the job to harvest Gala apples. “People are motivated by fear not to speak up, but we have to put that fear aside and defend our rights,” said Perez, who now serves on an employee committee created by the settlement. The workers stayed off the job for two days. They briefly resumed apple picking, then they walked off the job for four more days after three of them were fired. During the strike, the workers forged new bonds with Central Washington supporters who showed up with food and words of encouragement. After they formed their picket line, the workers reached out to Familias Unidos and Columbia Legal Services to assist in the negotiations with Larson Fruit. Union president Torres has been critical of the H-2A program, which he says has been manipulated by some growers to undermine union organizing efforts of U.S.-based workers. Torres cites his experiences at Sakuma Brothers Farms, where his union earlier this year gained its first contract. That agreement followed years of labor strife that included bringing in H-2A workers after U.S.-based workers walked off the job. “In our case, this program was used to try to destroy the union,” Torres declared. Wafla helped bring in the Sakuma H-2A workers. 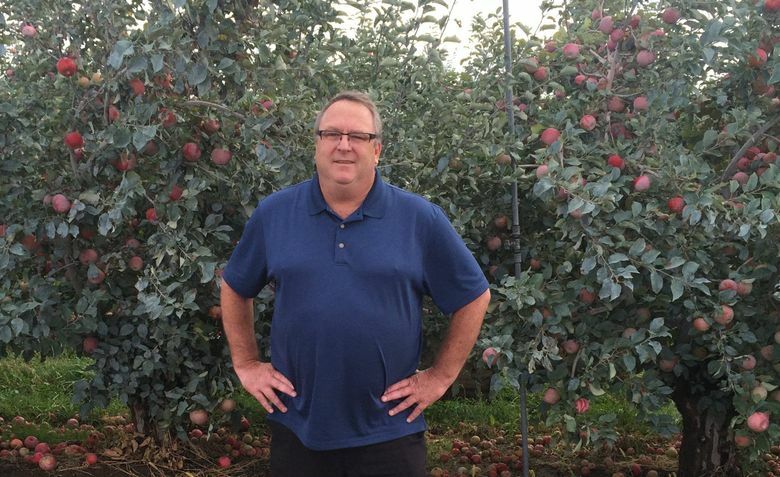 And Fazio, the association’s executive director, said they were requested before there was any labor unrest to help pick berries during the end of the season when there was a shortage of domestic workers. Fazio said that federal law prohibits farmers from using the guest worker program to break a strike, and that Wafla would not assist in a request for H-2A workers under those circumstances. The union’s Torres said the guest-worker program should be sharply limited, with growers required to do more to prove a need for bringing in foreign workers. But Torres told The Seattle Times he will do his best to represent all workers, U.S. based or foreign, who labor in Washington fields and orchards. Since the strike ended, Torres says, he has received “lots and lots of calls” from other H-2A workers. One caller said he was part of a group that considered a strike but then opted to stay on the job. Others said they didn’t get medical attention when injured or sick. Meanwhile, at the Larson orchard, the strike is now history. Workers spend their days filling bin after bin with fresh-picked apples. The Gala harvest is over. But there are Honey Crisp and plenty of other varieties yet to pick. Larson said that, someday, mechanical harvesters now under development may be able to harvest some of the state’s apples. But he doesn’t see that happening anytime soon. And, he is glad to have the help from Mexico. Perez says he appreciates that Larson took the time to meet with the workers and listen to what they had to say. Since the strike ended, Perez says, the workers have a new supervisor, and things are better. When Perez returns to Mexico later in the fall, he will share his earnings with his parents. He hopes to return to Washington again next year.